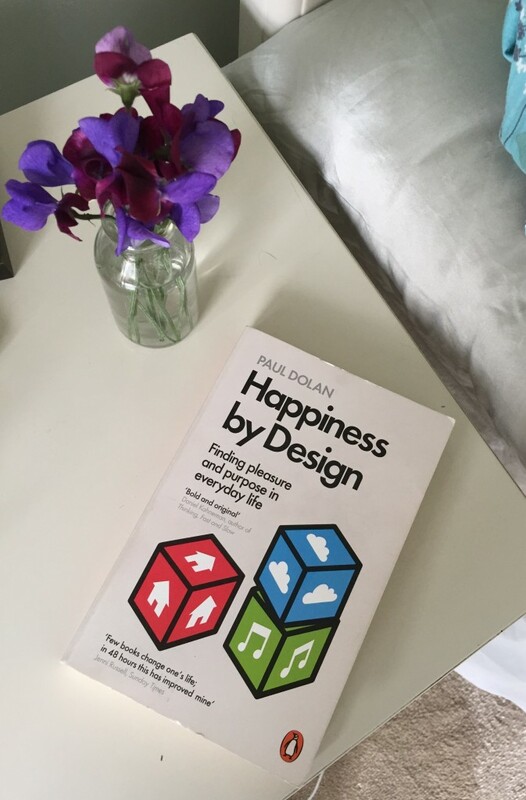 Paul Dolan’s book, Happiness by Design, has been next to my bed for a few months now. It’s not your average ‘how to be happier’ self-help book, and not an easy read either, yet it stands out as having something original and helpful to say about happiness. When we saw Paul at the Hay festival last month, he asked the audience what they thought would make them happier, and the first chapter in his book asks the same. Which of the following do you think would make you happier? At different times in my life I have thought that each of these would work for me. Paul challenges our beliefs about what makes us happier – in particular he quotes research that suggests that earning anything over £50k has no effect on your happiness. What interests me is that Paul Dolan argues that we need to think about happiness in the context of both pleasure and purpose. Planning the garden and planting seeds is both purposeful and pleasurable for me, and watching a DVD box set, and essential oils in the bath are just about pleasure. This was a new way to think about happiness. A couple of years ago I read Gretchen Rubins The Happiness Project and followed her suggestions of a different theme or set of actions for happiness each month. Some of what I explored and tried did have a positive effect on my happiness, but overall her focus felt to be more about pleasure than purpose. To be truly happy, Paul Dolan says ‘you need to feel both pleasure and purpose’ and have a good balance between the two – a balance that works for you. When we are helping someone to plan, whether this is in Care and Support Planning or as part of a personal budget, we look at what would make a ‘perfect week’. How can they use their resources and personal budget to have the best week they can imagine? I like the fact that The Care Act (2014) and statutory guidance tell us we must consider people’s aspirations as well as what they need. Does it feel outrageous to encourage people to think about pleasure and purpose in planning? When we are asking people what is working and not working in their life, could we include conversations about pleasure and purpose here? This is what I want to explore. What does an understanding of the pleasure-purpose principle mean when we are supporting people to plan in health and social care?